-Dreamcast console and games are now available in the store. -Full preview of Punch-Out for the Wii. -More added to the homepage design. -New and improved store front design as well as more tinkering with the layout around the site. -Movie section of the store is now upgraded like the video game and book stores. -Webmaster and CEO of VGE Utopia has started programming/designing an RPG! Progress will be uploaded over time. Rest of the VGE Utopia team and whoever he deems worthy will be getting picked from for helping with the game. Stay tuned! -Even more bling added to the layout. -A lot of tinkering with the site. A bunch of bells and whistles added here and there. -Check out the new VGE Utopia gear in the store. All kind of gear for guys and girls with that VGE touch! -New site poll to the right as well as some other info. -Book store is now upgraded like the video game store. -Added some memorabilia to the video game store. -New article about the DSi. Scroll Down or click here. -New specials available including getting a free DS Lite USB charging cable with ANY DS LIte bundle purchase. -Video game deal of the week is LittleBigPlanet for $26.99. -Added more NES ROM's to the Emulators and ROM's section. -Finally have some tech specs up in the console tech specs section. The Atari 2600 starts it off. -New article dealing with the 360's wireless ways. Scroll down or click here. -Welcome the ColecoVision to the Emulators and ROM's section, members! -Added a little more bling to the layout around the site. -The video game industry timeline is currently finished. Don't forget though, each and every day forward adds to the history books. -New homepage layout. To the right are items from inside the site that you may want to know about! -Console Tech Specs section updated with more consoles. No technical specifications, yet. -Started up the History and Timelines section today for video games. -Video game storylines are coming soon as well. We will put together some of the more popular video game story's to deter confusion. -Video game sales charts, console tech specs, game saves, walkthroughs and codes & cheats sections coming soon too! -Welcome the Sega Master System to the Emulator's and ROM's section. -We need staff! We are always hiring, but right now we are in need of anyone willing to give a little time into being part of this site. All it takes is to take your love for video gaming and entertainment and apply it here at VGE Utopia! Go to the office and choose your position! -Everyone, welcome the Atari Lynx to the emulators and ROM's section as well as more games for the NES and SNES. -Super Nintendo Emulators and ROM's now available including Chrono Trigger for members! -Nice price on a Samsung Blu-ray player just added today. -Changed up the Emulators and ROM's layout a bit and added more Dreamcast ROM's. Banners and page layouts received a small face lift. Rumor alert! Special Nintendo characters to show up at GDC 2009! Scroll down or click here. We now have a forum! Check it out as well as it's rewarding rank system! New article today for Resident Evil 5's release about it's ironic "racism" charges. Scroll down or click here. Added Sega Dreamcast ROM's and emulators as well as replacement documents for members. Video gaming fan fare section now up! Resident Evil news for Wii fans!!! Scroll down to the weekly articles or click here. Added some "flavor" to the design/layout of the video games page. Added Sega Game Gear ROM's and emulators as well as replacement documents for members. Added some support for Mac computers in the emulators and ROM's section. New playable games added to the play games section. More ROM's added to the Emulators and ROM's section for members. Added more playable games such as Super Mario 3, Donkey Kong and more to the play games section!!! Emulators and ROM's section now up!!! A few games and emulators for the NES and Genesis were added. Must be a member to get in. Rumor just in from our sources close to Microsoft! Scroll down and see what's going on! Some minor updates along with a new article today. Look out for the fan zone coming soon and, just added, the newly renovated way to join us. Go to the VGE Office and find out how you can join us! New article today. Scroll down. Also, check out the video games section. You can now play video games through the site. Mario (with Luigi) game is available and loads more to follow! Sections updated and re-arranged. New computers for sale as well! New poll today! New name, emphasis and layout! Can't wait for you guys to see what is going to be exploding here at VGE! If you love video games, consider us the Utopia to come to! We love 'em more than you love your girlfriends! Just kidding, but seriously keep your eyes open. -Sony Playstation 3 160 GB bundles are here! Check 'em out! -Nintendo Wii bundles sold out! More coming very soon!!! Custom computers added today! Go to the Computers, Parts and Products section to see. Monday, January 19th, 2009: We Are Back! After a long break we are back and better than ever. Some new items and hot specials are just around the corner. Check back every day for some nice additions to the store as well as some new video game articles from our new writer Janet! The video game section will be getting a complete overhaul and will become the main force behind Wamp It! Maybe even changing our name as new inventory and market strategies are moving in. Can't hide the billion dollar industry that is gaming! Don't worry though. Our usual policy of having the best prices anywhere will still be here! Other updates include an overhaul of the contacts section. It is now under the Wamp It Office section as well as about us and our policies and more! We are also still hiring as well! Thursday, December 25th, 2008: Merry Christmas! We have updated and re-written some of the site coding to allow for quicker access of some of the site. Other then that, have a safe Holiday season! Wednesday, December 24th, 2008: Merry Christmas Eve! For obvious reasons, the site will have very few updates tomorrow. Members section was added. Good members only deals and specials. 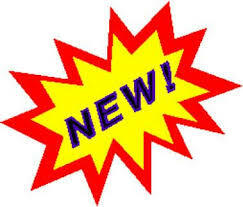 New books are now available to buy! Guitar Hero 3 added to games. Used games added to the Video Games section! Shop now! Used and new movies added to the Movies section! Check 'em out! We are also still hiring! Thursday, December 18th, 2008: Now Hiring! We are hiring writers for video game reviews, previews and rumors. Think you have what it takes? Currently we are looking for beginners and mid level writers. Contact us for details and pay arrangements.